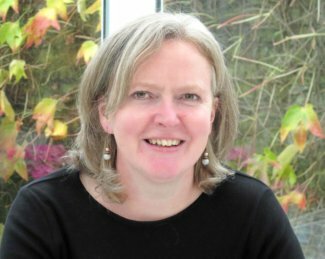 Hello readers, today we are absolutely over the moon with this fantastic author post from romance author, Helena Fairfax. Tina and myself began blogging about romance books in the beginning, whether they were contemporary, historical or paranormal. And we have always appreciated the time and effort that such authors put into writing, editing and promoting their work. We wanted to help spread the word and maybe introduce readers to more and more suspenseful and thrilling reads, at the same time as helping authors to promote their work. One author who stood out from early on was Helena Fairfax with her debut contemporary romance, The Silk Romance. Tina reviewed this story first and I always loved her review. Along with the review and the fantastic cover (Charlotte Volnek) and synopsis I had to have a read too! And, as stated in my review, it is an absolutely unforgettable romance. Helena has recently released The Silk Romance in paperback format and we are thrilled to add that we are mentioned in the book and are quoted on the front cover! Thank you, Helena! When Tina and Caroline invited me to write an article for their review site, I knew straightaway that I wanted to say how much I appreciate all the hard work book bloggers put in, and how particularly thankful I am that romance review sites like A Reader’s Review exist. If you’re a lover of all things romance, as I am, and read lots of books, then how do you choose which romance novel to read next? In the olden days before book bloggers (or ‘back in the day,’ as my son always used to tease me with!) I used to find it hard to choose which romance novel, amongst all the many in the bookshop, I could be certain I was going to enjoy reading. All I could go on was the blurb and the cover – and I made many an expensive mistake buying romance novels I ended up putting down after the first couple of chapters, either because the writing wasn’t good or it just wasn’t my type of book. It frustrated me that I could read reviews and book recommendations for plenty of other genres in newspapers – sci-fi, horror, even graphic novels – but no newspaper critic ever reviewed a romance novel. So how could I find the best authors? I couldn’t rely on word of mouth recommendations, either, as no one I knew shared my obsession with romance! In the end, in order not to waste money on a book that might not turn out any good, I used to either go to my local library (God bless our library service!) or visit my local market and pick up cheap, battered second-hand copies. If I found an author I loved this way, I would be ecstatic, and would buy up all her books new. Nowadays the internet is full of romance review sites, and I can’t tell you what a difference this has made to my reading. I follow a handful of sites whose reviews I know I’m going to enjoy reading, and A Reader’s Review is one of the few sites I follow. There are literally thousands of sites to choose from, and we each have our own preferences. This is how I choose whether or not to follow a review site. And of course I love it when a reviewer introduces me to an author I’ve never heard of, who I grow to love. Reviewing novels is hard work, as I know from the few times I’ve written reviews on my own blog. As an author myself, of course I’m even more grateful for the exposure romance reviewers provide, in a book market where romance authors are often overlooked and looked down on. To give you an example of how poorly romance is regarded, I once took a box of leaflets detailing all the finalists for the RNA’s annual Romance Awards to my local bookshop, and asked them if they could display the leaflets on their counter. I was told they ‘didn’t sell that type of book in their shop!’ These were a selection of best-selling, professional authors, with publishers such as Simon & Schuster and Harper Collins. But apparently romance is too lowly a genre to figure in many establishments! Well, thank heavens for romance reviewers, that’s all I can say! 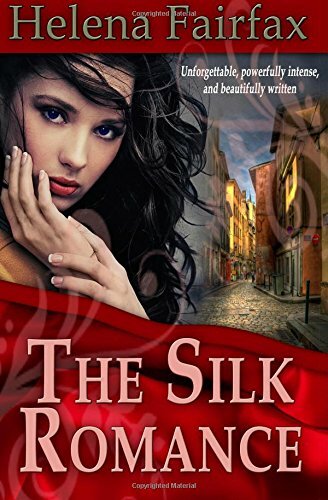 So when my first novel, The Silk Romance, came out in print, I was delighted to be able to use a quote from Caroline’s review on the front cover, and to credit A Reader’s Review in my acknowledgements. Thanks for all that romance reviewers do, and here’s to lots more happy reading! You can find out more about Helena on her blog at www.helenafairfax.com, or on Twitter @helenafairfax. An unforgettable, powerfully intense and beautifully written contemporary romance! Blurb: Sophie Challoner is sensible and hard-working, and a devoted carer of her father. One night her grandmother throws a ball for her in Paris…and Sophie does something reckless that she can never forget. Jean-Luc Olivier is not a man to treat lightly. And so when fate takes a hand years after the ball, and reunites him with Sophie in Lyon, he is determined not to let her go a second time. But it seems the fates are conspiring against their happiness. Jean-Luc has secrets of his own. And when disaster strikes at home in London, Sophie is faced with a choice—stay in this glamorous world with the man she loves, or return to her family to keep a sacred promise she made her mother. The Silk Romance is now available in paperback format and mobi (Kindle) format on Amazon UK and Amazon US. Thank you once again to Helena! It is always a pleasure to work with you.